You don't have to wait around like a normal person for the Creators Update to drop—it's available to download right now, if you're a Windows Insider. 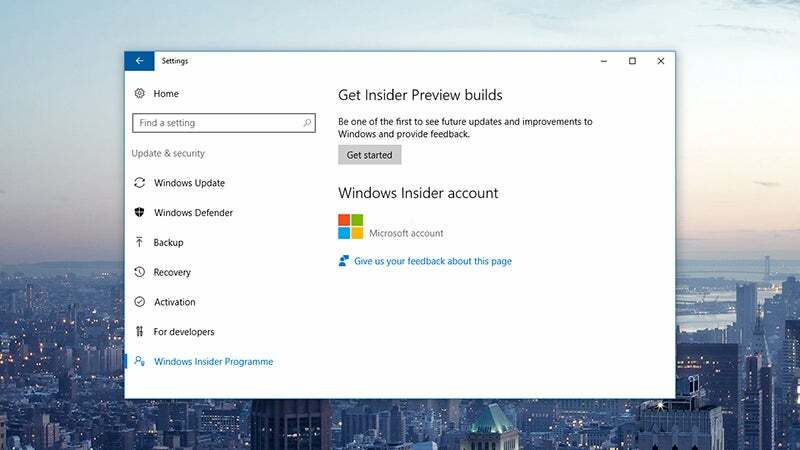 The Windows Insider program lets you beta test advance versions of the OS for free, if you don't mind the occasional bug, and here's what you need to do to get enrolled. There are no specific requirements to be a Windows Insider and there's nothing to pay. It's for anyone who wants to get the latest Windows features first, but you have to be prepared to put up with a bug or two. You can leave the program at any time. Microsoft doesn't recommend running beta software on your main PC, so you do so at your own risk. You also need to have a proper Microsoft account set up on your computer (with a Microsoft email address attached), rather than a local account. Open up the Settings app on Windows 10, select Update & security, and then click the Windows Insider Program heading which should have magically appeared. Click the Get started button and Windows takes you through several warning screens before you're asked to restart your computer. At that point, you're all set—Insider Preview builds will now roll out to your computer automatically, though it may take some time for the first one to appear. If you head back to the Windows Insider Program entry in the Update & Security section of the Settings app, you'll see you can choose your "Insider level", which essentially sets how quickly you want to get unfinished builds on your machine. The Fast ring is where the cutting edge updates appear. These builds are also the most likely to have bugs. The Slow ring is a safer option, where updates have received some stability updates and checks before being rolled out. The third option, the Release Preview one, installs preview updates to Microsoft apps in the Windows Store, so you're not actually getting any of the goodies in forthcoming versions of Windows 10. Another option is to download the ISOs directly from Microsoft, if you're comfortable installing a fresh version of Windows 10 on a blank or wiped hard drive. 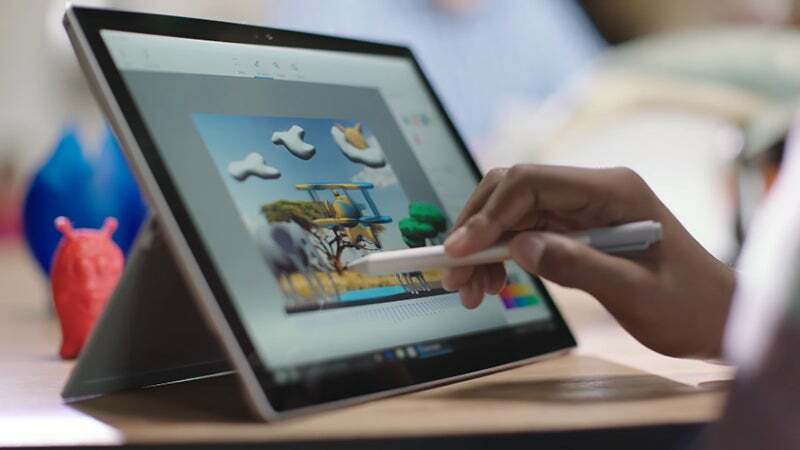 As Neowin points out, the versions now available are likely the near-final 'release to manufacturing' versions, so you can start playing around with Paint 3D, Beam for game broadcasting, streamlined messaging, and everything else that's included. 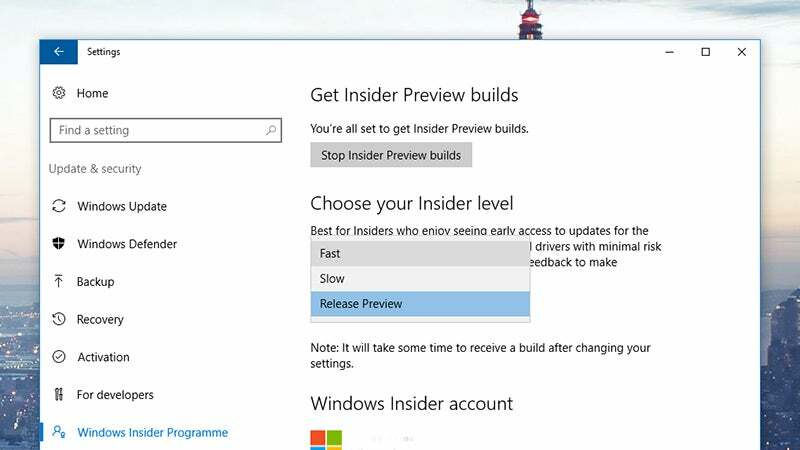 To get out of the Insider Program, you need to click Stop Insider Preview builds from the Settings page. Depending on how many patches you've installed and where you are in the update cycle, Windows may be able to roll you back to a stable version, but you might well need to do a fresh install from scratch.